My son started working these puzzles between 15 and 18 months of age. I was surprised how quickly he caught on! 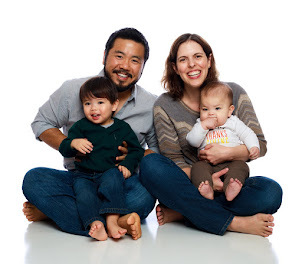 We love the Melissa and Doug brand which can be found on Amazon and at Target. 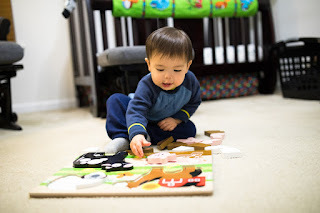 Although the puzzles are recommended for either 2+ or 3+, the hardest part for him was only the dexterity needed to get the puzzle pieces to fit exactly in their spots. If you work with a new puzzle and your toddler continues to be frustrated by it, they may not be ready. Put it aside for a month or two and then introduce it again. 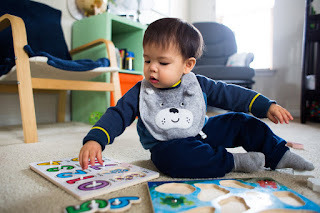 Read on for our favorite puzzles and our favorite ways to play! "Where's the..." By far my son's favorite game! Dump out the puzzle and ask "Where's the _____." Such as "Where's the Number Five" or "Where's the Zebra" or "Where's the Letter O." Let your toddler find what you asked for and show you where it goes in the puzzle, helping him/her get the piece in if necessary. To up the difficulty, dump out the puzzle so the pieces are upside down. "Bring mommy the..." Our second favorite game, I'll ask for pieces and he will take each piece out of the puzzle and bring it to me (he likes to line them all up on a footstool for some reason). Once the puzzle is empty, we do the reverse and put all the pieces back. 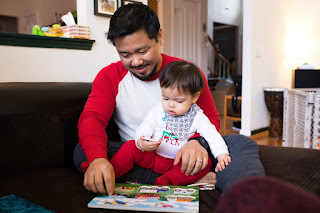 Melissa and Doug: Alphabet, Numbers, and Colored Fish. This is a great 3-pack. The Alphabet puzzle has a picture beneath each letter. The Number puzzle has the corresponding number of animals beneath each number. 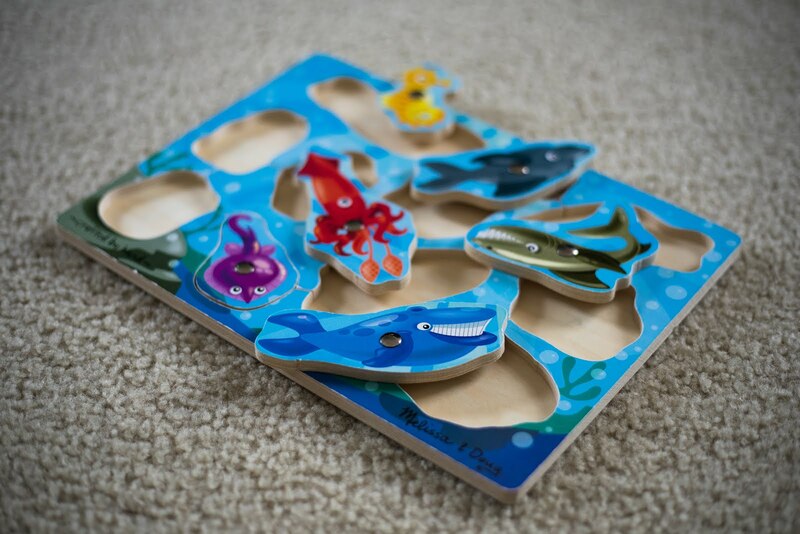 The Fish puzzle has the color name beneath each fish half. Additional Ways to Play: Learning the Alphabet - Teach the picture behind each letter. If you play, "Where's the __", ask a follow up question, for example: "Where's the O?" and "What is the O for?" We also use this puzzle as a great opportunity to sing the alphabet song. I point to each letter and sing the song, then I tell him to sing with me and point again but wait for him to sing every other letter. Soon we will move on to him singing every letter. Additional Ways to Play: Learning Numbers - Count the animals in the picture beneath each number. Point to the numbers and take turns counting from zero to nine, allowing the toddler to fill in every other number. 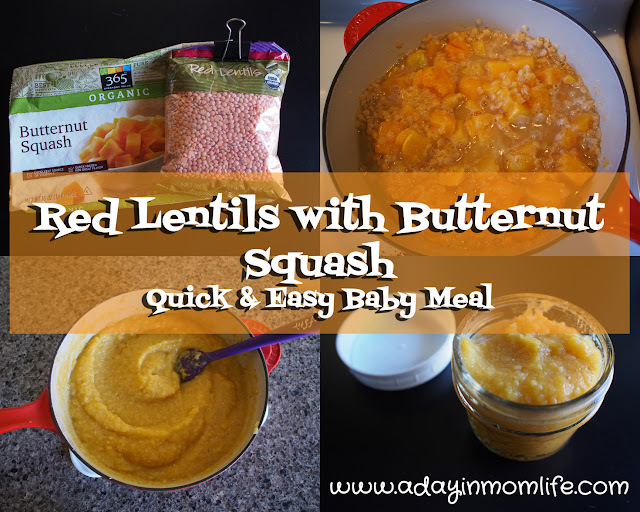 Once the basics are learned your toddler will want to count everything! We count bibs, toy cars, pictures in books, etc. ***A note on this puzzle, the 6 and the 9 are interchangeable. It's important to just be consistent. Pick which color you want to be the 6 and which you want to be the 9 and stick with it. Melissa and Doug Vehicles. This puzzle has different trucks and an airplane and helicopter. The picture of the vehicle is under the piece as well. My son took a few minutes with this one, he wanted to put any truck in any truck spot! This is a good identification exercise as the trucks are all similarly shaped when the pieces are upside down. 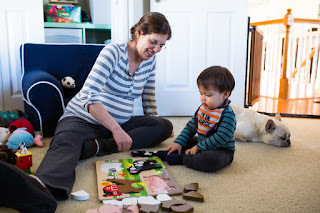 Melissa and Doug Safari Chunky Pieces. These chunky pieces are easier to put in than the regular wooden puzzles. Each animal is pictured under the puzzle piece. My son also likes to stand the animals up in their spots. Melissa and Doug Magnetic Fishing. This puzzle is actually rated for 3+. There are a couple of harder elements. The fishing pole requires some dexterity to use. My son loves it though, he says "pick, pick" and then announces, "I've got a whale!" when he catches a piece. There is also no picture under the puzzle pieces. Melissa and Doug Farm Animals Chunky Jigsaw. This is by far the hardest puzzle we currently have. Our nanny gave it to Henry for Christmas. 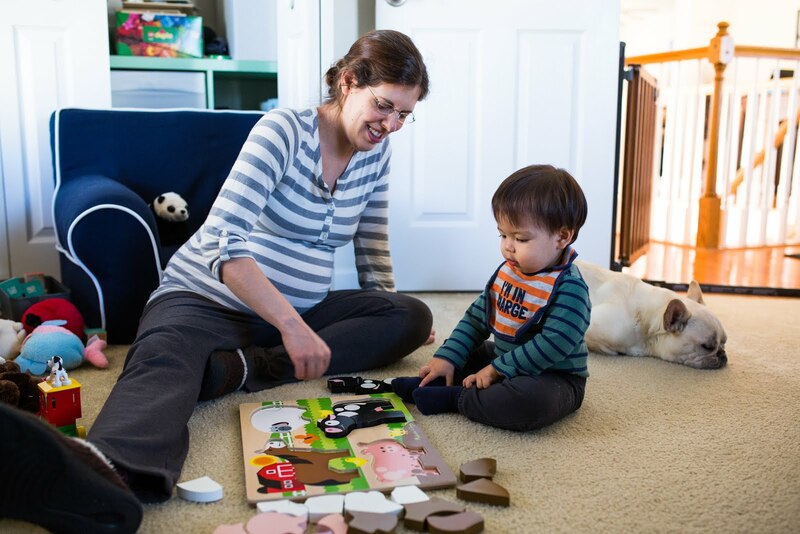 He really likes it and the animals: cow, pig, horse, and sheep are some of his favorites. Nice features are that there is a corresponding picture under each piece and each animal has a different color base so it's easy to keep them separate. The challenging part it getting the jigsaw pieces to fit together, each animal is comprised of 5 pieces. 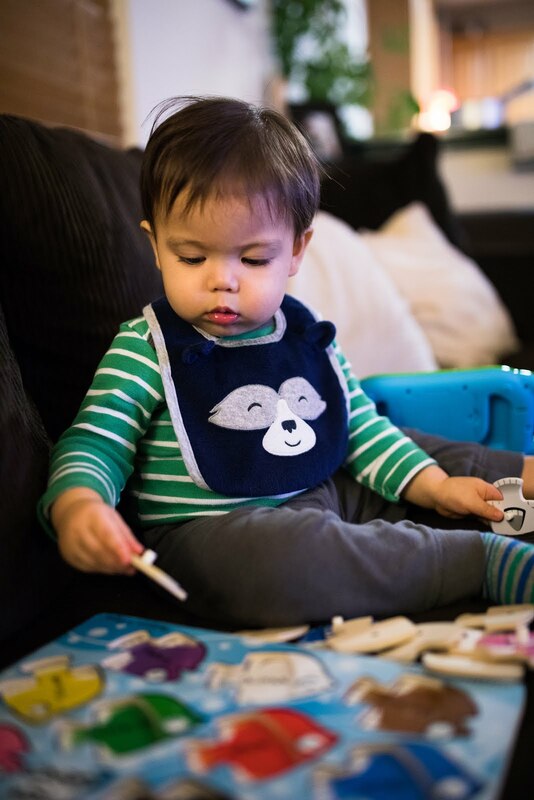 My son knows where all the pieces go, but with the exception of the heads and sometimes the legs, he has difficulty turning them the right way to fit them all together. Circo also makes some wooden puzzles. We received these from a friend whose daughter had outgrown them. We call them the "House Puzzle" and the "Food Puzzle." The pieces are easier to put in than the Melissa and Doug puzzles we have. I was unable to find either one online. 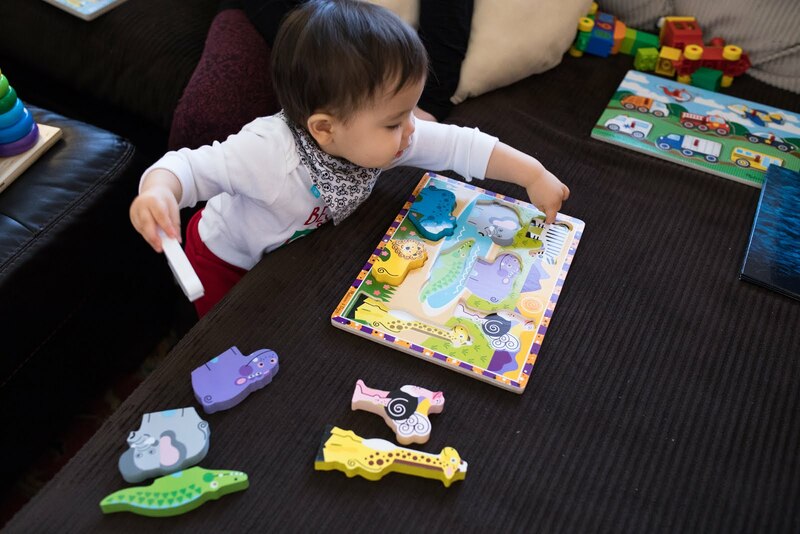 For more challenging puzzles - Melissa and Doug also makes Magnetic Hide and Seek Activity Boards. We have several of these but are waiting a little longer before we bring them out. For easier puzzles - There are a lot of Big Knob Puzzles on the market. 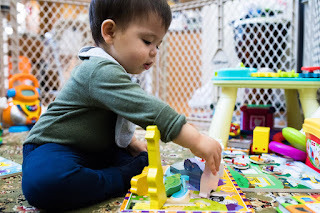 Does your toddler have a favorite puzzle?